What a Monday yesterday was! I did not have time to decorate my office as I expected to, but that just means I will have to carve out some time to do it today! When I got home from work Adam and I had some errands to run. We ended up eating at Baja Fresh (again) … apparently we are obsessed with tacos and have to eat them 3x/week. I didn’t get to the gym until almost 10pm. That’s dedication! The gym was completely empty which means I had some quality selfie time in between lifting a few weights. Yesterday was my last cross training day of the week. Four of the next 5 days are running days and I am very happy about that! I saw a sign on Saturday that tonight is something called Light Up the Beach night. 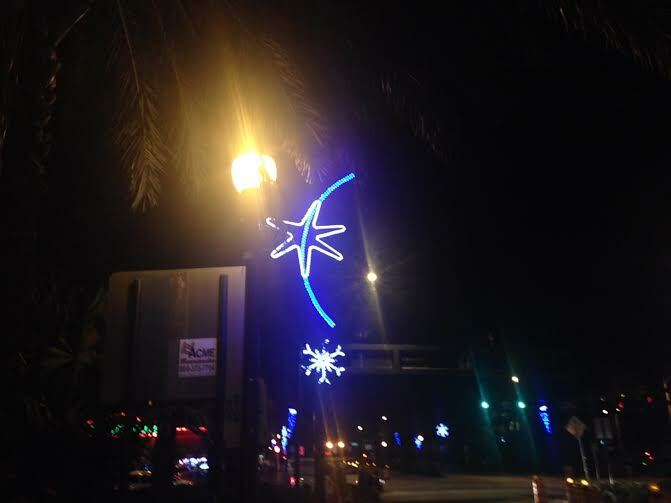 I think this means they will light up all the holiday decorations at the beach tonight. I am looking forward to seeing it on my run since you know I don’t run anywhere other than the beach : ). On Saturday it looked like they had already started adding some lights. I still can’t believe the holidays are really here! This year has gone by so fast. Previous Post Cross Training + Football + Tacos = Good Sunday! Next Post Feet Fail Me Not, This May be the Only Opportunity That I Got! 10pm in the gym IS dedication! Way to go! I’m with you…I can’t believe Thanksgiving is this week. Seriously, I am impressed you made it to the gym at 10. I am in bed by then. Whomp. 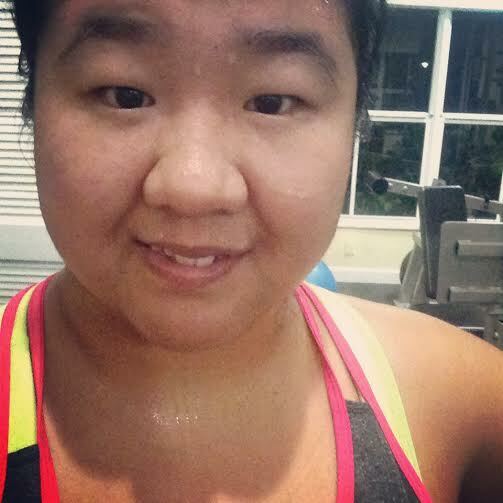 I love when I can get a few good workout selfies, but then I only have the guts to share one haha. I haven’t been to the gym in too long! I’m glad you had a good workout!